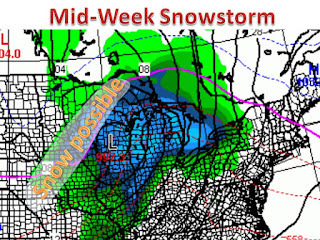 Winter Storm will take over much of the midwest wed and thur. Given the time of year, this storm will be on the warm side and most of the area will see rain or some kind of mix. 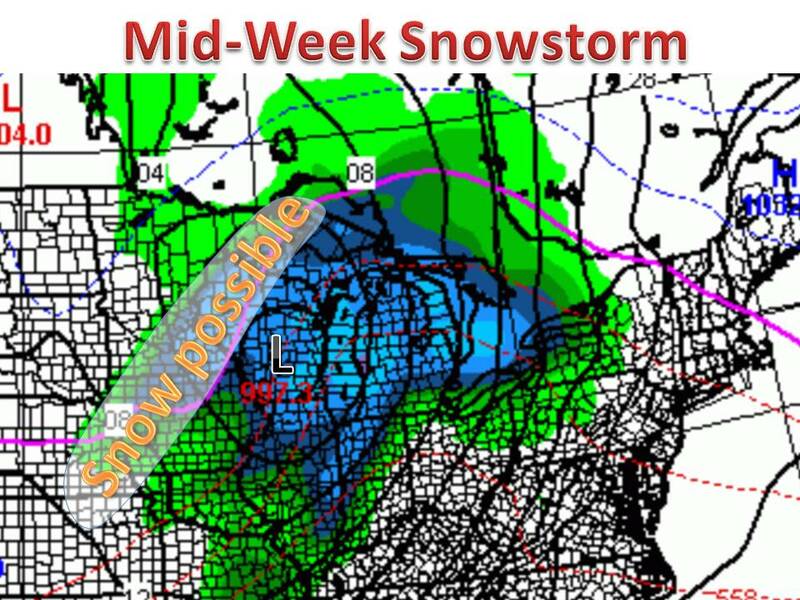 Accumulating snow is still possible, most likely in western wisconsin and minnasota. This is still a strong storm so winds will be a factor for many. If this storm were to emerge in a few weeks we would be looking at a 8-12" snow, but instead will likely see a 2-4"/3-6" storm. Snow totals will be fine tuned as we get closer.